A portable battery with a lot of potential for charging a laptop with USB-C. The MOS Go is the battery I wish I could recommend as the top USB-C pick for fast charging and recharging. Unfortunately, during testing, a company spokesperson said that the firm needed to do some tuning of the firmware and certain hardware features and the device has yet to be finalized. Macworld typically doesn’t review prototype hardware, only units coming off a production line. But the MOS Go was in early production and the company had intended to ramp up into a full launch. The company says the launch is delayed until it finishes working through the bugs. A new ship date has yet to be determined. For now, I’ll tell you about my experiences with the device, and we’ll publish a full review when we receive word that they’re ready to take orders. 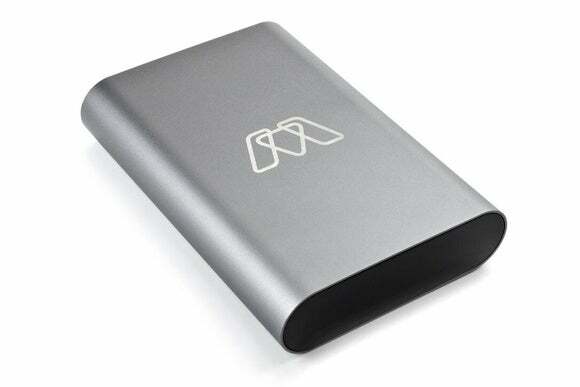 The MOS Go was designed around the Power Delivery 2.0 (PD 2.0) standard, the most advanced power-delivery spec developed for USB. Previously implemented versions of USB were limited in the total wattage that could be carried over regular cables. The USB Implementers Forum, which maintains the serial-bus flavor, has been gradually upgrading the technical guidelines to increase power transfer. 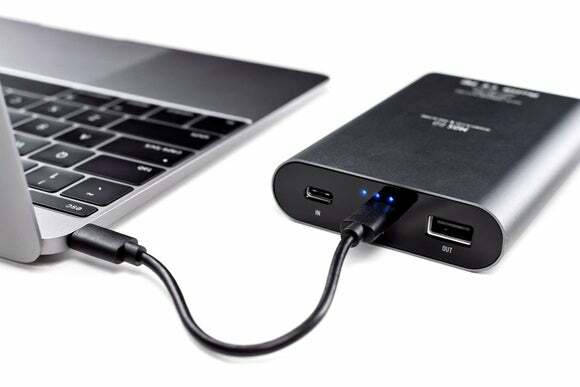 But it took until USB Type-C (or USB-C for short) for a plug type, cabling potential, and the revised PD 2.0 to all hit at once and allow laptop—and even desktop—levels of power to be carried over USB. 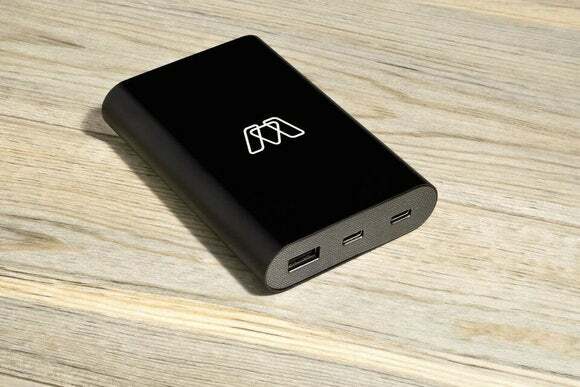 MOS Go takes advantage of PD 2.0 and it’s the only battery that I know of that can bump above the 15-watt limit that USB-C battery packs top out at. With an appropriate USB-C to USB-C power cable—one both certified and able to carry voltages above 15W—the MOS Go can deliver 29W (14.8V at 2A) of power to a MacBook, just as much as the AC adapter that’s supplied by Apple with the 2015 and 2016 models. This is even enough power to let a fully depleted MacBook boot instantly, rather than charging to a minimum level, just as if it were plugged into an AC adapter. I was able to nearly charge a MacBook from empty to about 80 percent before the MOS Go ran out of power, taking just two hours while the laptop slept. 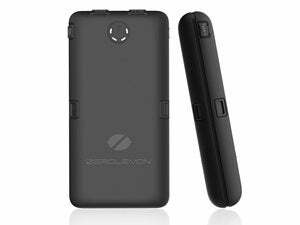 That’s at least twice as fast as other battery packs tested. Because of the high power flow, you can also use a MacBook and charge at the same time, unlike other batteries tested. 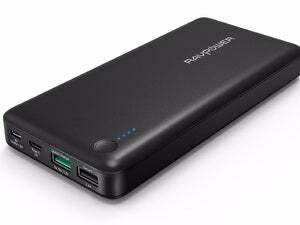 It also was able to make use of nearly 80 percent of its internal charge, also substantially higher than other packs. The MOS Go has a 12,000 milliampere-hour (mAh) internal battery module, one USB-C charging port, one USB-C output port, and a surprisingly low-ampere USB Type-A port—just 1A, far below an iPad or iPhone’s maximum charging rate. If you want a separate cable to bring with the battery for USB-C charging and recharging, don’t pick just any: because of the power flow, if you get a cable that’s not up to snuff for high-wattage charging, The MOS Go clamps down to 15W for safety. During my early tests, I thought the pack wasn’t performing as it should, as I was using a cable allegedly certified for high wattage. Swapping cables did the trick; I tested the MOS Go with the Black Squid 3.3-foot (1 meter) USB-C data/power cable ($13 on Amazon). I was ultimately able to get the same power throughput with four different cables I had on hand. The MOS Go’s USB-C input port allows charging at up to 29W using an appropriate charger and cable, such as the MacBook’s included cable and charger or a USB-C charger available from Google. I was able to recharge the battery in about two hours, substantially faster than ones I’d tested that use Quick Charge 2.0 or 3.0, which allows higher wattages as well. There’s no on or off button on the MOS Go’s sleek rounded aluminum-finished case. Plug in a cord or give the pack a slight shake, and its LEDs light up. It’s also a very compact USB-C battery, measuring just 4.5x3.25x1 inches and weighing just 10.25 ounces. This compares extremely favorably to the higher-capacity Anker and RavPower units I’ve tested, which weigh 3 to 6 ounces more and are a third longer. The MOS Go’s only drawback is the current planned list price: $100, or $40 more than the Anker PowerCore+, which can charge a MacBook to full with power left over. If you need a nearly full fast charge and recharge in one pack, the price premium could be worthwhile. It does not include a cable of any kind, which adds at least the above-mentioned $13 to your cost unless you use the Apple USB-C charger cable. But you’ll have to wait to order one.